Are you tired of always travelling to the same destinations? Do you want to visit somewhere different? At Wamos Air, we strive to offer you the best destinations and one of them is Cancun. A true paradise located on the Caribbean coast, in which you will enjoy all types of tropical charms. Thanks to our Cancun flight offers, you will be lucky enough to uncover all the secrets hidden in this territory on your next all-inclusive holidays. The reasons why you have to visit Cancun are undoubtedly almost endless, and so you will not be able to turn down the opportunity to travel to this magical Mexican city. If you want to be truly amazed on your next holidays, you cannot miss the opportunity to come and experience Cancun with Wamos Air’s offers on flights, to discover for yourself why you must jet off to this city. 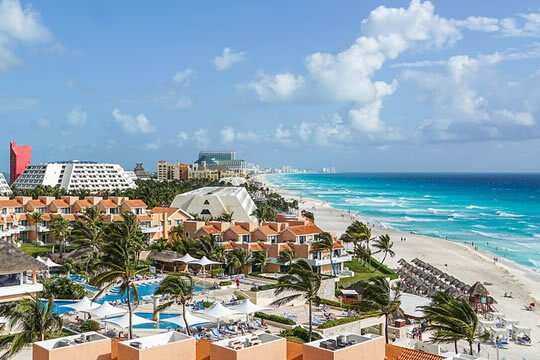 Cancun is a small city located in the Caribbean region of Mexico and therefore it is a first-class tourist destination when it comes to spending some inimitable summer days on the world's best beaches. Furthermore, this city is home to many attractions that make it unique. Choose cheap flights to Cancun and enjoy some great summer days this year! A good example of why to travel to Cancun. The great attractions of Cancun of course include the large number of quality beaches you will find there. With white sand and beautiful crystal-clear, turquoise waters, Cancun's beaches are considered some of the best in the world, making this a great destination to jet off to. In addition to beaches, Cancun also brags that it is one of the cities with greatest Maya wealth in Mexico, so on your holidays to its territory you will have the pleasure of visiting and experiencing numerous archaeological sites of this civilisation. 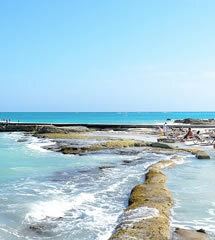 These two reasons alone are already sufficient to encourage you to travel to this city but there are more, such as, for example, the diversity of activities you will be able to do in the territory, ranging from walks in the most beautiful natural settings of the region to immersing yourself in the depths of its waters and discovering the biodiversity that the Caribbean Sea conceals. And after a day full of activities, what better way to unwind than to go to any of the city’s spas, perfect for your moments of relaxation? You will be able to take advantage of all this with the all-inclusive holidays that await you in this destination. Finally, you must know that Cancun is an incredible resort, much sought after by couples both for weddings and honeymoons, and completely set up for enjoyment as a couple, so if you are thinking of getting married or you already have done, Cancun will offer you a wealth of detail so you can enjoy your stay in the city to the full. Apart from being Mexico’s beach destination par excellence, Cancun is also one of the greatest representations of the country’s Maya culture. It boasts a wide variety of archaeological remains of this civilisation in the areas surrounding the city, so you will have to visit these beautiful sites on your trip as well as relaxing. Come and discover the Maya in Cancun! 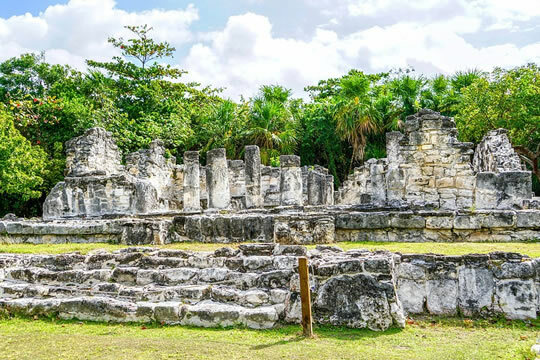 The city of Cancun has strived to conserve the cultural remains of the ancient Maya people who inhabited its land thousands of years ago. This has led the Mexican city to be a renowned tourist destination at global level, visited by millions of tourists every year. If you fancy adding a cultural and historical note to your holidays this year, you will be able to do so thanks to the Cancun flight offers that you will be able to find on our website. El Rey archaeological zone, Cancun, Mexico. We can say that the city of Cancun and the state to which it belongs, Quintana Roo, is one of the greatest centres of Maya culture in the country, as you can find three main Maya-origin archaeological sites in it that you absolutely must visit during your stay in the city. We are, of course, talking about zones such as El Meco, a city whose beginnings go back to the year 200 BC and that was an important commercial point in its time. It currently still conserves some buildings such as the Castle and different temples, all of which you will be able to visit; Tulum, one of the main cities of the Maya era and one of the best-conserved sites. 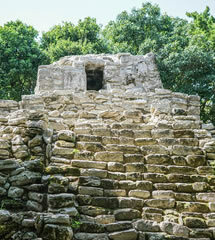 It boasts a wall, a castle and numerous temples and houses in good condition, all accompanied by wonderful visits to the Caribbean; and Cobá, which, as former capital, was a very important city and this is reflected in the different groups of buildings among which you will be able to see pyramids, churches and other structures. Although these are the main sites, we also recommend that you do not miss areas such as El Rey, an old city integrated in the middle of Cancun’s hotel zone, or Xcaret, closer to Playa Carmen than to Cancun, but a very interesting visit due to its theme park, where you will be able to experience activities related to the Maya world. You already know that, to enjoy all this you need only take a look at Wamos Air's offers and come to experience Cancun on some unrivalled holidays. Cancun is a very popular destination for couples who want to get married or who have already got married, as it boasts a wealth of details to enjoy some of the most special days of your life. 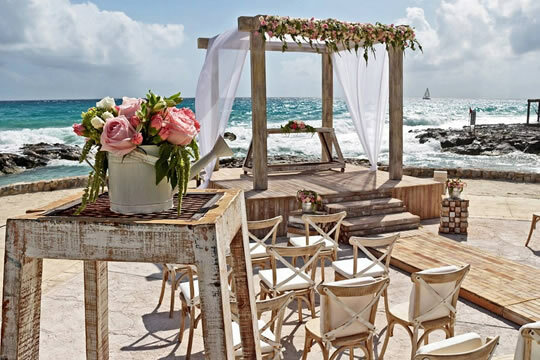 If you want to enjoy an unbelievable wedding, Cancun is the ideal destination to do so, so tell your partner that you have the perfect wedding plan. 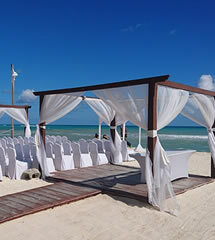 The Mexican city of Cancun is one of the world's best resorts to organise weddings. Its beaches and natural landscapes have made this city a genuine Eden on Earth that everyone wants to visit on their special day. If you want to know why you have to organise your wedding in this Caribbean destination, pay attention to what we are going to tell you. Spend your special day in Cancun. Who hasn't dreamed of getting married on a fairytale beach? If you have, then Cancun is the ideal city to celebrate your wedding, as its beaches are undoubtedly truly unique and its white sand and turquoise, crystal-clear waters will create the perfect backdrop for this very special day. Moreover, in Cancun you will be able to find all types of services to liven up the wedding and professionals who will help you organise it. It is also possible to hold a traditional Mexican ceremony or to get married on board a boat, another brilliant way to say “I do”. But in addition to weddings, Cancun also offers many services for those who have just got married and want to spend their honeymoon in this idyllic city. So whatever happens you have no excuse not to jet off to this magical city. Book your cheap flights to Cancun with us now and come and enjoy some incredible holidays with your partner. Cancun is undoubtedly a globally renowned destination due to the beauty and quality of its coasts. With an amazing variety of coastlines of beautiful fine, white sand and crystal-clear waters, the beaches of this Mexican city are perfect to enjoy some truly unique summer days. 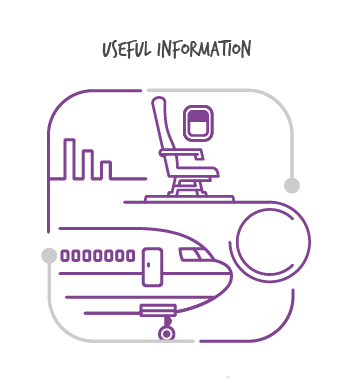 Book your cheap flights now and set some luxury holidays at the best price in motion! Enjoy the best coasts in Cancun. Playa de los Delfines, located in the middle of the city's hotel zone, is one of the best to enjoy the tranquillity of the Caribbean and stay right on the beach. An ideal zone to spend a day with the little ones. Playa de las Tortugas, also next to the hotel zone, is another of the most tranquil beaches in which to enjoy a day of relaxation or a refreshing swim in its waters. Other coastlines such as that of Playa Marlín and Playa Caracol are also located in this part of the city and are highly recommended. But if you want to visit the most exotic places in the Caribbean, then you cannot miss a trip to Isla de las Mujeres, an island right in front of the city of Cancun. There, you will be able to discover coasts such as Playa Norte or enjoy adventure activities such as snorkelling or swimming with dolphins. Isla de Contoy, another of the most beautiful areas of Cancun, where you can dive on the best reefs and discover the region's marine biodiversity, is situated to the north of Isla de las Mujeres. In addition to all these beaches, you will still have many more to visit on your holidays to Cancun. Do you fancy discovering them during your next holidays? 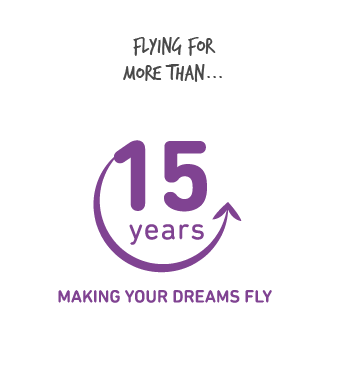 So book now from Wamos Air’s flight offers and start this great trip now. Cancun is a destination located in the area of Quintana Roo, Mexico, and it has access to the Caribbean Sea, and so its spectacular location will enable you to enjoy a fairytale beach environment. Its golden-coloured sand and crystal-clear waters will be the greatest attraction and the perfect excuse to enjoy a setting such as this on your next holidays. If you want to give yourself a little treat on your summer days, have no doubt that choosing our attractive flight offers to Cancun will be the safest option to enjoy an unbeatable trip with your friends and family. 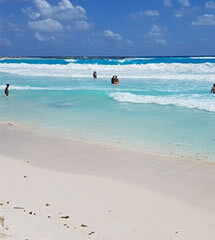 Cancun is known for its incredible beaches, which you will be able to enjoy to your heart's desire. As well as watching the sun set in such an amazing setting as this, we encourage you to try a water sport that permits you to explore the amazing marine depths of the Caribbean. Despite the fact that Cancun brags that it is a destination with one of the best examples of sun and sand tourism, this Mexican city has many more points of attraction to discover. Come and experience them! Uncover all the surprises of this territory and be amazed by the many experiences you will be able to encounter in such a spectacular setting as this. Its all-year-round tropical climate will be another incentive for you to give yourself a such a great gift, in the company of that special someone. 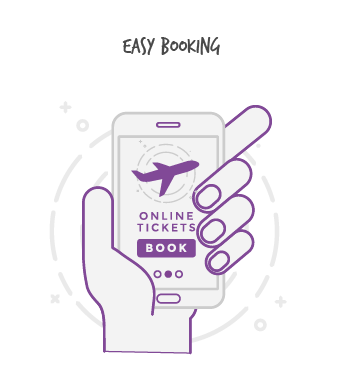 What are you waiting for to book your cheap Wamos Air flights? After taking a dip in its beautiful waters, it is time to embark on a journey to enjoy its historical and cultural vestiges. Settlements of other civilisations have left their mark on this territory, making it possible to glimpse majestic constructions worthy of being gazed at and landscapes of unparalleled beauty. Places such as El Meco, Coba and Tulum are some unmissable visits as you explore this territory. Discover the cheap flights to Cancun on our website and enjoy holidays with children, friends or as a couple. If you want to continue uncovering true wonders in this city, discover its vibrant nightlife and the most traditional gastronomic dishes of the territory, which will help you to continue enjoying this fairytale setting. If you like the idea of travelling to such an amazing destination as this and you are sure that you want to encounter this experience first hand, don't let our Cancun flight offers pass you by and start some incredible holidays, surrounded by your nearest and dearest, as soon as possible.